When you’re in California, it’s pretty easy to find a nice glass of wine or a cold craft beer. Conejo Valley is no different. During our weekend getaway to Conejo Valley, we tasted what the area, a short jaunt from Los Angeles, has to offer. During our California and Arizona Route 66 road trip we spent a day exploring Kingman, Arizona. 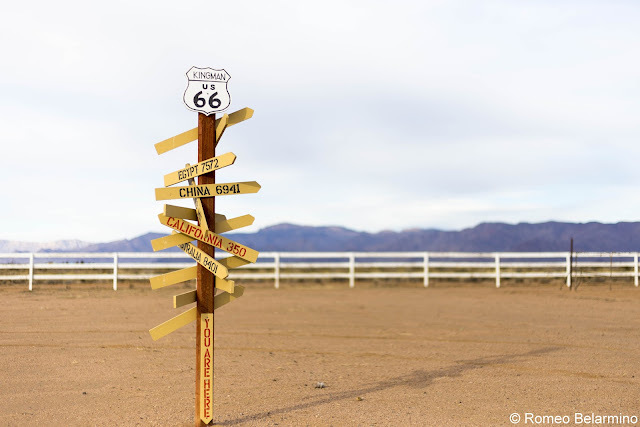 Kingman is known for being an important railroad and Route 66 stop. Kingman also has an airport which used to be the site of a large World War II training center. 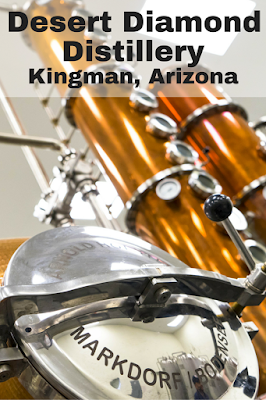 Next door to that airport is Desert Diamond Distillery, Kingman’s craft distillery. Of course we had to stop in for a tasting and a tour! Our first impression of Desert Diamond Distillery when we walked through the door was that it looked like a cool place to visit and hang out. 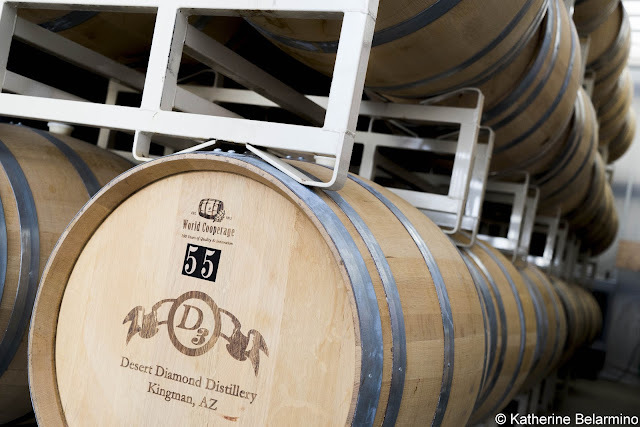 Desert Diamond Distillery isn’t just a place to visit for a tasting and leave. 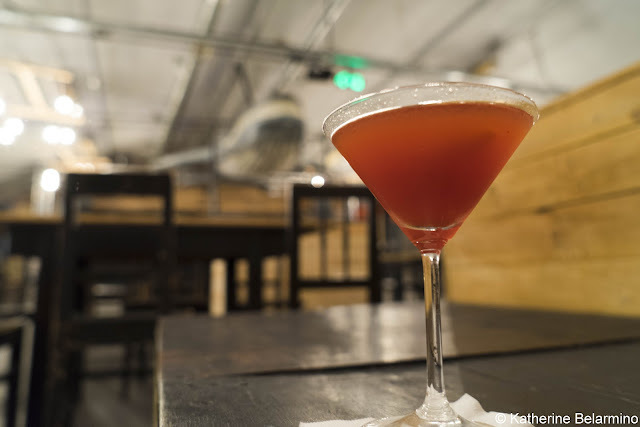 They also create cocktails with their craft spirits, like the Blueberry Mojito made with their Gold Miner Dark Rum or the Desert Sunrise with their Gold Miner Agave Rum with orange, mango, and pineapple juices, so visitors are encouraged to sit down and stay awhile. We started our visit with a tasting flight while we learned about the spirits Desert Diamond Distillery has been crafting for almost six years. All of D3’s spirits are sugar based and start with molasses. A tasting flight starts with a taste of the Gold Miner Rum, a white rum. The Gold Miner Rum has a bite that is to be expected from a white rum, but it is also smooth and has a slight sweetness. Next was the Gold Miner Vodka, which starts with the white rum. It’s pretty unusual to encounter a vodka that is sugar cane based. It’s also pretty unusual to encounter a vodka made at a craft distillery, which we learned later on the tour. That’s because their still is a two column still with enough steps to reach the higher alcohol content needed to make vodka. If you don’t think it’s possible to make a sugar based vodka that tastes good, you’ll have to taste Gold Miner Vodka. It’s one of the most unique vodkas you’ll taste, and it tastes like vodka. 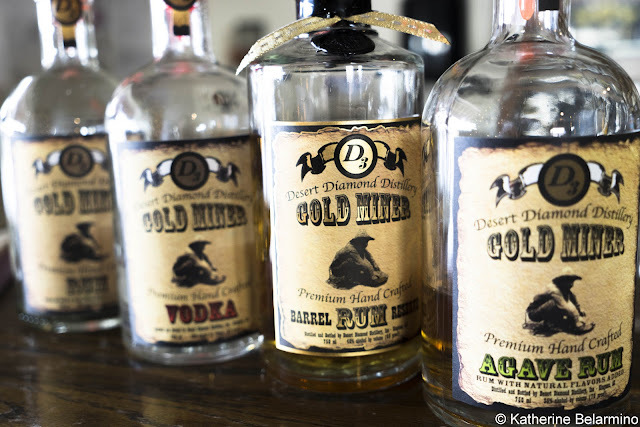 Desert Diamond Distillery’s Gold Miner Dark Rum also starts with the white rum. The white rum is aged over French and American oak chips. Some compare the taste of the dark rum to a good bourbon. 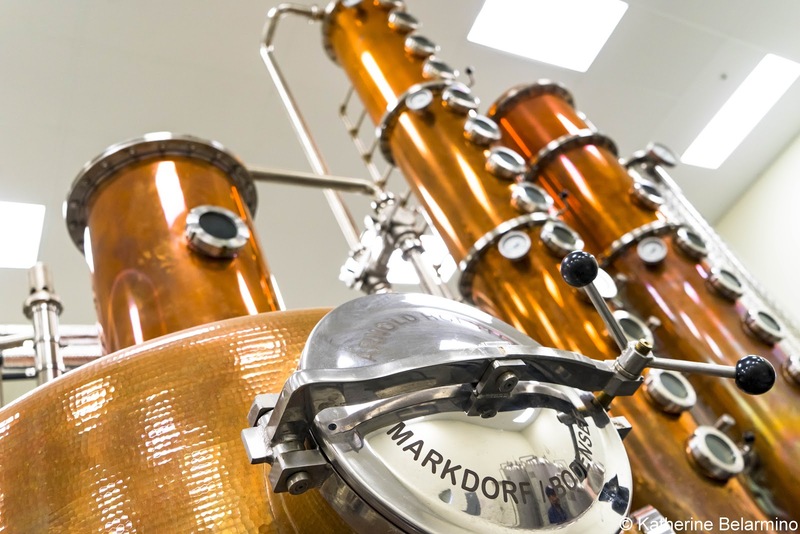 When Desert Diamond Distillery was first starting out, they wanted to test their products against the competition to see if they were doing it right. In 2011, they entered their spirits at the 2011 SIP Awards. They received a bronze for the white rum, a silver for the vodka, and a silver for the agave rum. But the biggest winner was the Gold Miner Dark Rum, which received a platinum medal. Desert Diamond Distillery first bottled their Gold Miner Barrel Reserve Rum in 2012. This aged rum starts yet again with the white rum, which is aged in lightly toasted new wood barrels for 42 months. It’s like a white whiskey. Each barrel makes approximately 400 bottles, and each batch is numbered. During our visit, we tasted number eight. Barrel number seven won the second gold medal D3 has won for their aged rum at the San Francisco World Spirits Competition. Our final tasting was of the Gold Miner Agave Rum. At the time D3 crafted their first agave rum, agave nectar had recently become a popular ingredient. Agave nectar is added to the Gold Miner Dark Rum and it is meant to be enjoyed straight as an after-dinner drink. It is sweet and has a nice aroma. The thought was to market the agave rum to women, but it has become a huge hit with all genders. After our tasting flight, we took the behind the scenes tour to learn more about the distillery’s history and process. Desert Diamond Distillery is a family affair. John Patt is the master distiller. He owns the distillery with his father, Peter Patt, who gave us our tour. John’s mother, Deborah, is the manager and gave us our tasting tour. 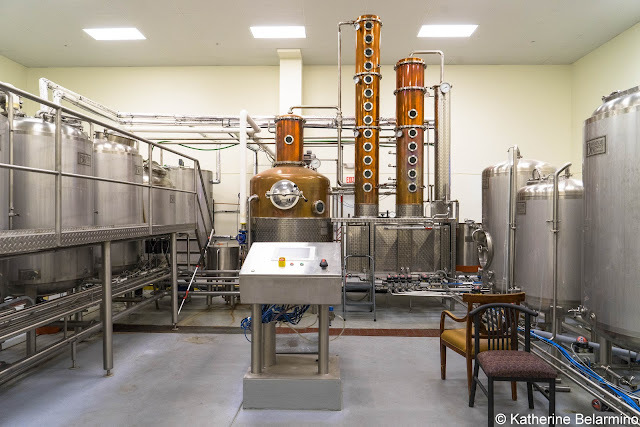 When Desert Diamond Distillery opened in April 2010, there were probably less than 100 craft distilleries in the country. (According to Fortune there were about 50 in 2005 while in 2015 there were almost 800.) 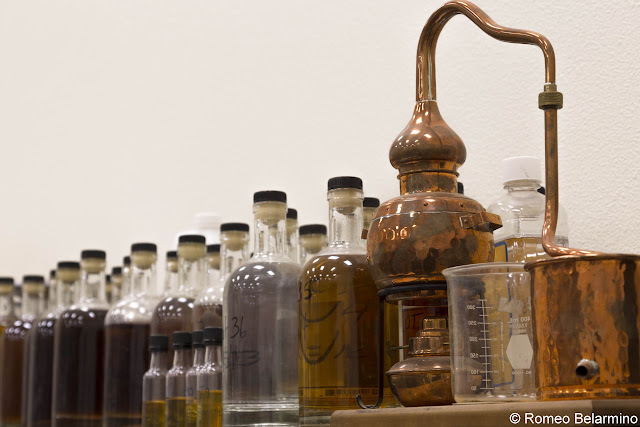 John Patt took a distilling course from a German company that made stills. In the meantime, he was already building a distillery on the Kingman airfield. After he completed his training, he was planning on purchasing just a still, but since he already had a place set up, the company offered him a fully integrated computerized system that could make any kind of spirit. 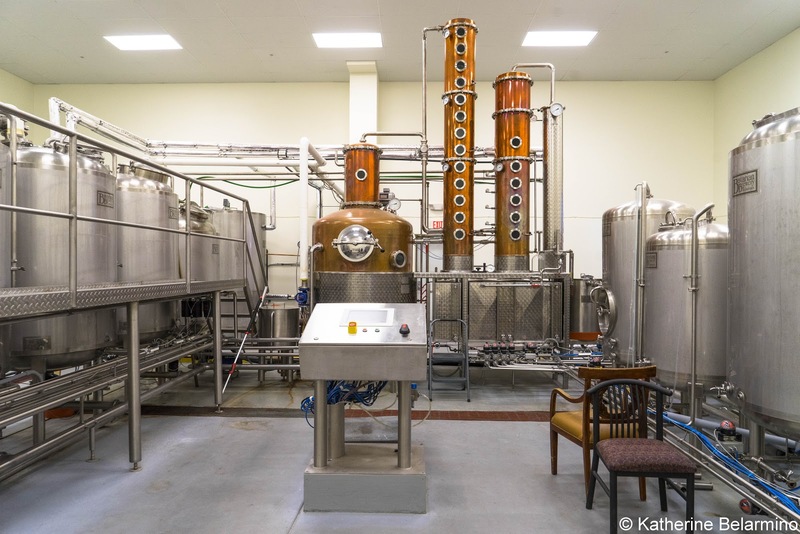 They like to call their system the Cadillac of stills. Even the cleaning process is computerized, taking two minutes instead of hours to manually clean, giving them more time to work on their craft. This Cadillac of stills is also what allows them to make vodka, something not many craft distilleries can do. 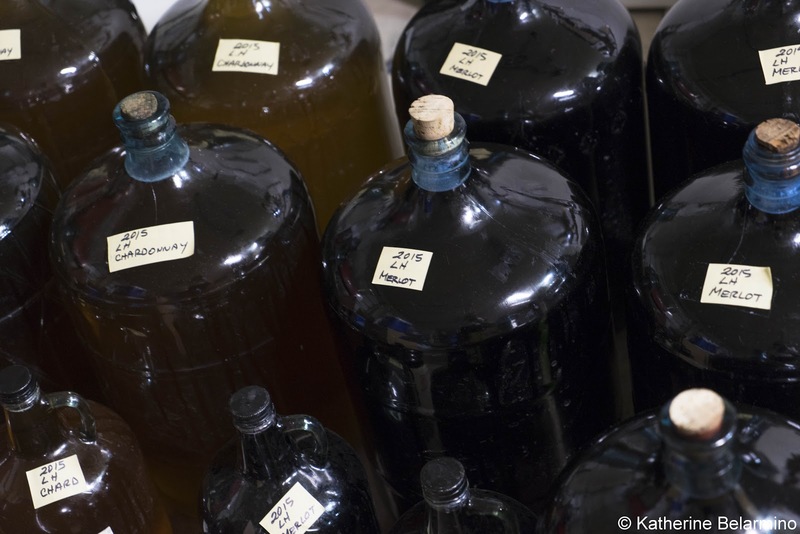 It’s a lot harder to make a profit as a craft distillery than a craft brewery. 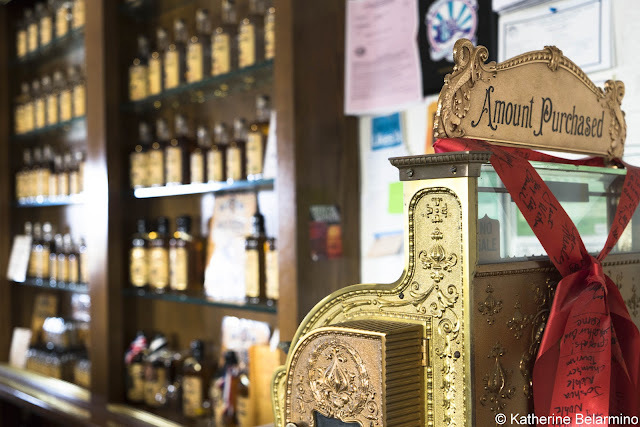 While craft breweries can charge a lot more for their beer than the big guys, the same cannot necessarily be said for craft distilleries, plus the taxes distilleries have to pay are pretty hefty. Peter told us that in order to have a chance of making it long term, a distillery has to offer a good, aged product. Desert Diamond Distillery has won medals for their barrel reserve rum four years in a row, so they’ve got a good start. Judging by the barrels they’ve got aging currently, that run will continue. Be sure to make Kingman a stop on your Route 66 road trip and fit in a taste and a tour at Desert Diamond Distillery. Thank you to Go Kingman for hosting the Kingman portion of our trip along Route 66 and making this post possible. As always, all opinions are my own. Northwestern Arizona wine country. It just kind of rolls off the tongue, doesn’t it? 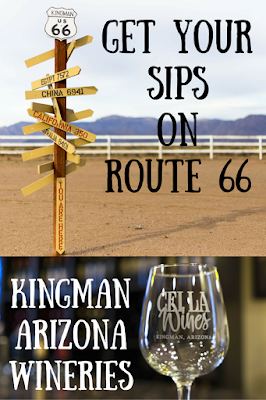 The Route 66 town of Kingman, Arizona might seem like an odd place for wine tasting, but right now they’ve got two exceptional wineries and the hope and goal are that there will be a few more wineries opening in the near future so that Kingman will become a full-fledged wine country with multiple Arizona wineries. 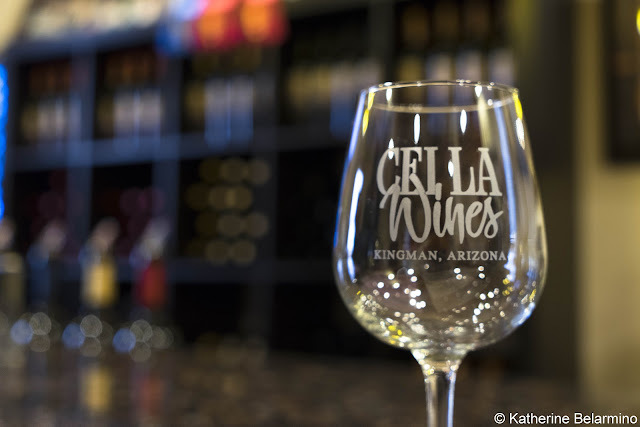 The two wineries in Kingman, Arizona which are open to the public currently are Cella Winery and Stetson Winery. These two Arizona wineries have a connection, but are very different, providing variety and contrast for wine tasting. Cella Winery was the first of the two wineries to open in Kingman. Cella Winery is owned by Carlos Cella. Cella’s parents were from Tuscany but immigrated to Argentina after the war. Growing up in Argentina, Cella made wine, cheese, and tomato sauce with his family when he was a kid. At the time, he viewed wine making as a chore, not a pleasure. As a young adult, Cella moved to California, where he owned a body shop for 35 years. When he retired, he decided to return to the traditions of his family and make wine. Cella is old school when it comes to making wine. Almost every step of the process, from vine to bottle, is by hand. The only electric machine he uses is a destemmer. 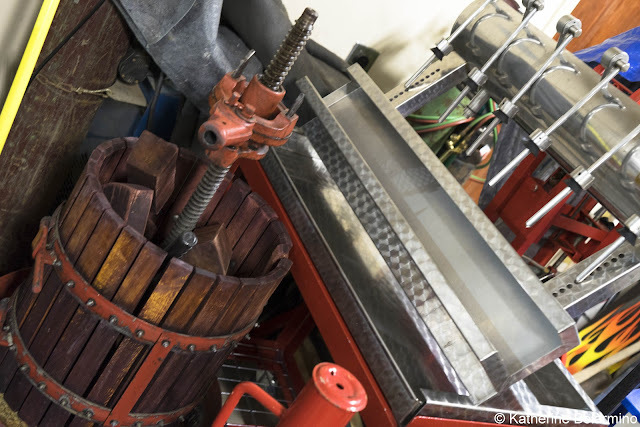 All of the grapes that go into Cella wines are crushed in a small hand-operated grape crusher. Every bottle is corked by hand. Every bottle is labeled by hand, which you’ll notice if you look carefully at the bottles that line the shelf as the labels aren’t perfectly straight or perfectly aligned. All of the wine is made in the garage behind the tasting room. The operation is similar to what you would expect in an Italian home making wine for personal use, except Cella’s wines are award-winning. Cella Winery is also not pretentious. When explaining to a customer that blends are not fermented as blends, but rather are rather single varietals that are blended before bottling, Cella demonstrated by creating a blend from various bottles right in front of us. He was so confident in his off-the-cuff blend that he let us all taste it. Cella makes both estate wines made with grapes grown on his 10 acres in Kingman which were planted in 2008 and California wines made with grapes from his 25 acres in Temecula which were planted in 1990. The estate wines include a Malbec, Zulma’s Moscato, which won first place at the 2015 Kingman Wine & Food Festival, a competition of Arizona’s best wineries, and a Late Harvest Chardonnay, a sweet high-alcohol wine. The California wines include the Ruby Blend made with Cabernet Sauvignon, Syrah, and Zinfandel, a Syrah which won second place, and the Gina Mia White Blend of Viognier, Muscat, and Chardonnay. We’re used to starting with the lighter white wines and moving on to the bolder and heavier red wines when wine tasting. It’s a little different at Cella Winery. It’s best to start with the red wines, then finish with the white wines, which are on the sweet side. 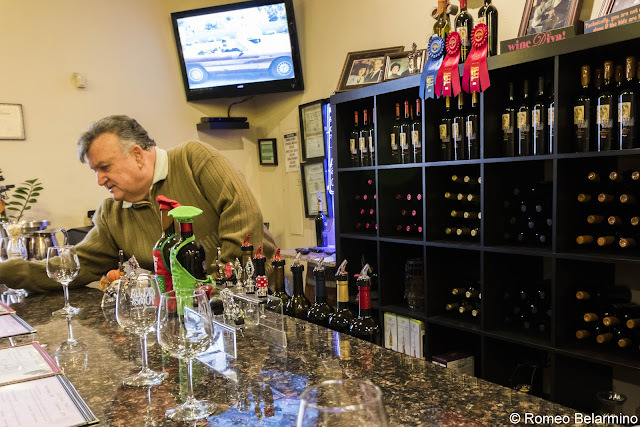 Cella’s love for his craft is easily apparent, and it is also contagious, especially when you see how much work and personal attention goes into the wines of Cella Winery. 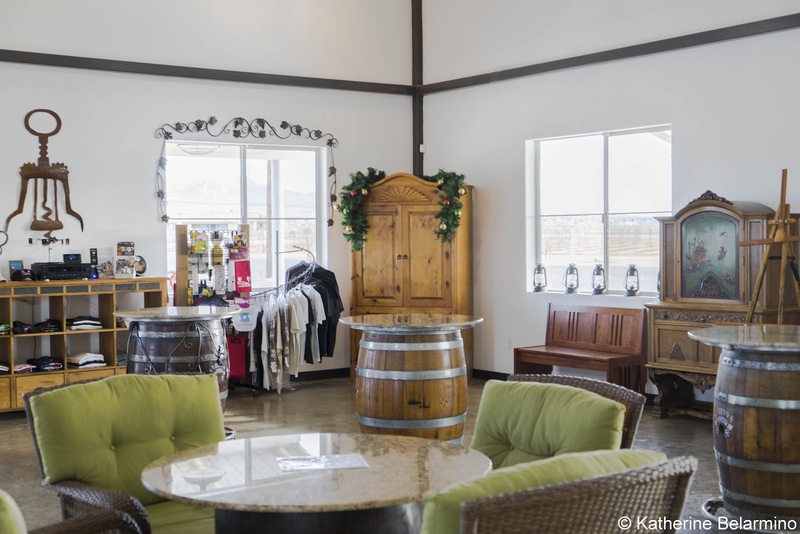 A short drive away from Cella Winery is Stetson Winery, Kingman’s second winery which opened in 2012. Stetson Winery is owned by Don and Jo Stetson. Don Stetson and Carlos Cella used to be partners, but they had conflicting ideas. Even though Stetson and Cella split to create their own separate wineries with completely different visions, they are still friends and the split has created the beginnings of a new Arizona wine country. Stetson Winery is both a winery and event center. The wine tasting room is in a large space that can also be used for weddings, holiday parties, and other events. The grapes used to make Stetson’s wines are not grown on site. The grapes for the three white wines and one rosé are from Southern Arizona near Willcox. The grapes for the four red wines are from Paso Robles and Napa Valley. 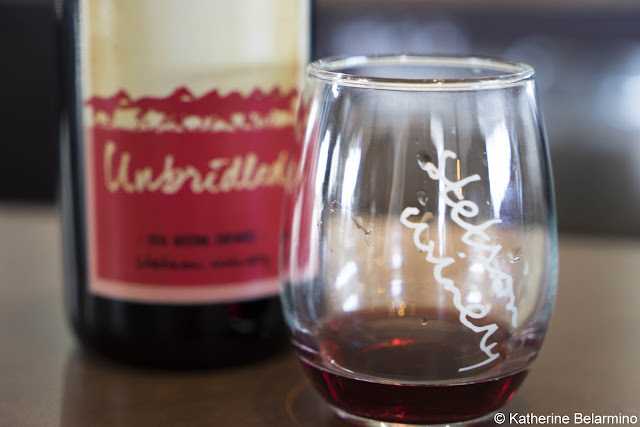 However, Stetson’s Zinfandel, Unbridled, coming out in February 2016, is made with grapes grown on the property. We got to taste a preview and it is good. Stetson Winery contracts with vintner Eric Glomski to craft their wines. 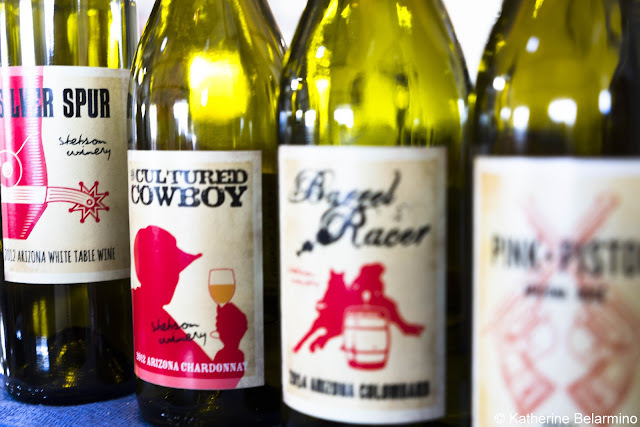 Stetson Winery embraces Arizona’s Wild West past and Kingman’s Route 66 legacy with their fun wine names and labels. For instance, the Cultured Cowboy Chardonnay, a smooth Chardonnay with a pear flavor, features the silhouette of a cowboy holding up a glass of white wine. The Root 66 Red is a play on grape vines growing along Route 66 and is a slightly spicy blend of six varietals. One of my favorites was the Pink Pistol, a rosé blend with aromas of rose water and watermelon, and the perfect shade of rose petal pink. Stetson’s wines are like Napa wines but for half the cost. The Hop in the Cab Darlin’ Cabernet Sauvignon made with Napa Valley grapes is a very bold Cabernet. But unlike the bottles of Cabernet that sell in Napa for $60 or more, Stetson’s sells for $29 a bottle. While Stetson currently only has one wine made with grapes grown on the property, they are planning on making more locally grown wines and will introduce a new wine every year. 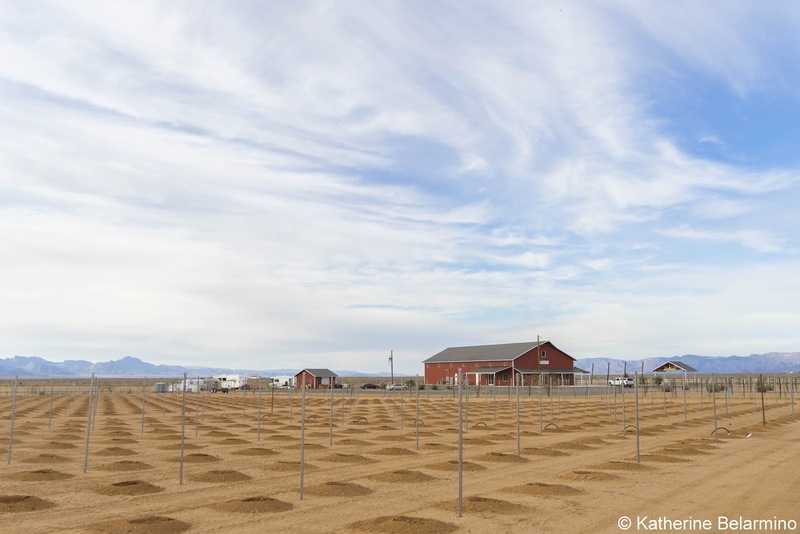 There is already another winery in the works in Kingman. 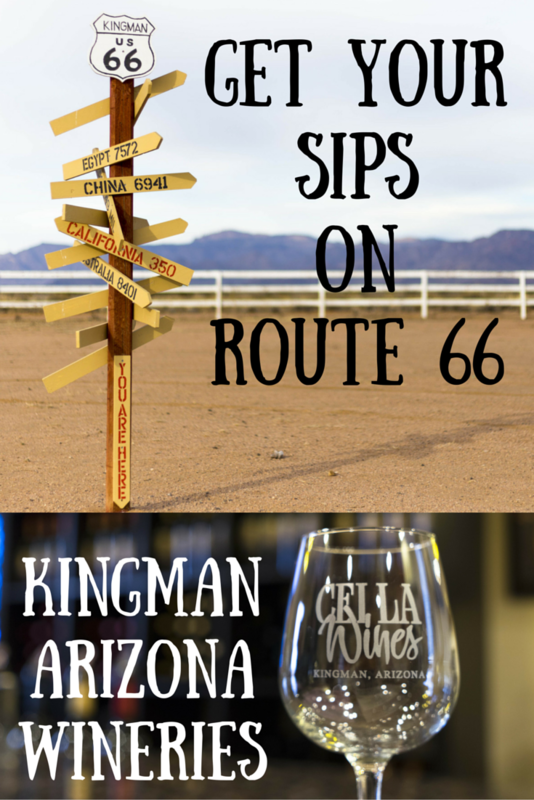 If Kingman can get five or six wineries making good wine, Kingman will have a bona fide wine country to attract wine lovers to this Route 66 town. They’re certainly off to a good start with Cella Winery and Stetson Winery. If internet discussion is a gauge to how many people have watched the documentary Making a Murderer, than I assume everyone on earth has watched the 10 part Netflix series. That means, assuming someone is reading this, that you have watched or at least heard of the show. Don't worry, I won't spoil anything for you. 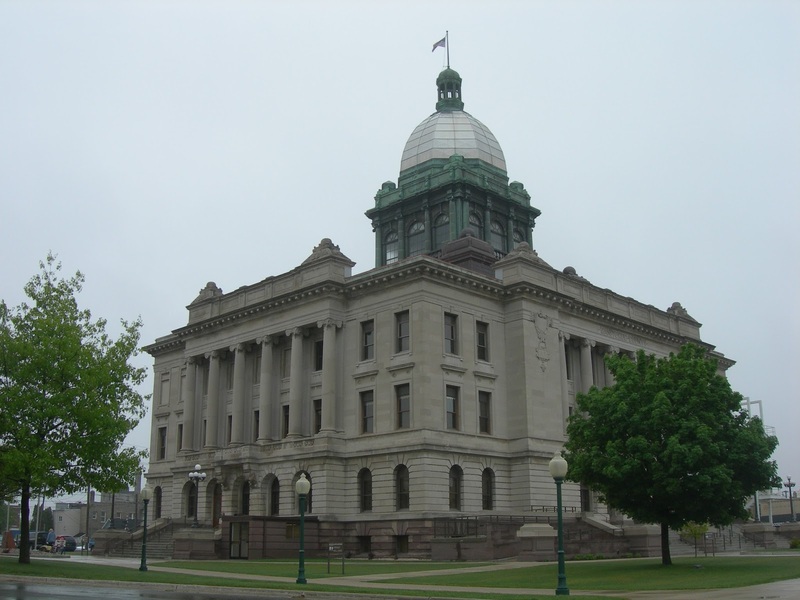 What I am here to do is get you ready for your journey to the actual city of Manitowoc. "What is there to do besides look at a salvage yard?" "Do all of the folks in town sound like they came straight from the Fargo movie set?" "Can I get a good beer after all of these questions have been answered?" No matter how you feel about the shows outcome, it's time to discover this now famous city - outside of the salvage yard. So lets dive in. One of the major features of Manitowoc is its location on Lake Michigan. 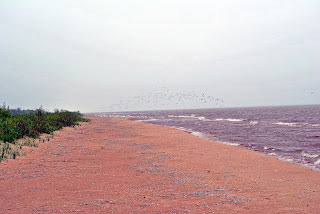 While most of the documentary revolved around rural Manitowoc County, the cities of Manitowoc and Two Rivers border one of the greatest of lakes. That fact alone makes Manitowoc a draw for outdoor enthusiasts looking for boating, sailing or even paddling adventures. When you're out on the water, salmon fishing is very popular in Manitowoc. Manitowoc holds a Salmon Derby every summer, so if you want to test your sport fishing skills, make sure you look out for the dates of the derby. Beyond the recreational water fun, Manitowoc has a very unique Lake Michigan feature, a car ferry. 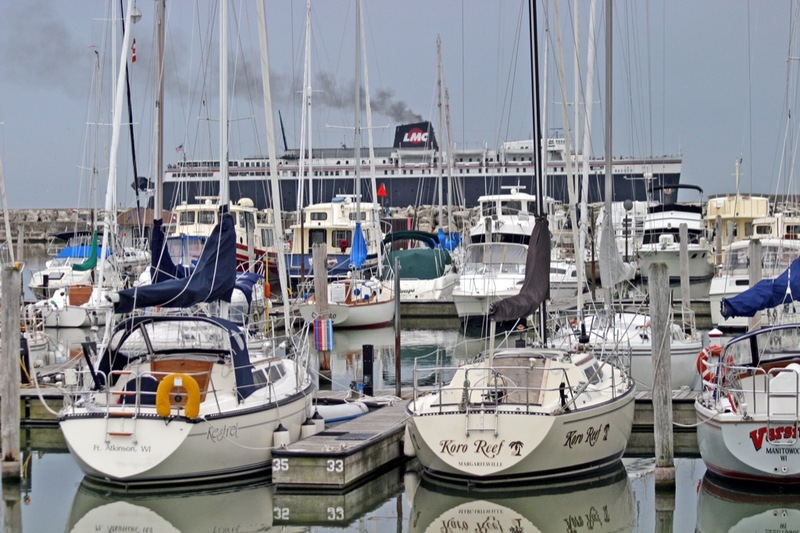 The SS Badger offers daily service in the spring, summer and fall from Manitowoc to Ludington, MI and back. For anyone wanting to get back and forth between the 2 states, the car ferry is the most direct route and adds a little fun to your trip (plus you get to avoid Chicago traffic). Getting in the water isn't your thing? Manitowoc also has a fantastic marina to relax at. Watch the sun rise on the breakwater or watch the boats go out for a daily catch. Down the street from the marina is a docked WWII US sub that you can tour along with the Wisconsin Maritime Museum that it is attached to. There is no museum that tells the history of Great lakes shipping like this museum. If sand is your idea of a good day, Two Rivers has miles of beach to spend building castles or skipping rocks. With your recreation covered, it's time to tackle a little food before we get to the beer. You have never had a burger and fried cheese curds, until you have had them from Late's. Honestly, I don't care where you are from, your burger is just a little worse than the one you would be eating from Late's. Not a burger fan, try the double brat on a kaiser roll. After you're done with that, your dessert is waiting for you at Beernstens Confectionary (yes if you're a fan of the show it is that Beernsten family). The ice cream sundaes and candy are the food of your childhood dreams. The buidling, and benches and snack bar area are all from a happier more simple time. Situated in the old downtown of Manitowoc, Beernstens is perfected located to walk to from any shopping or the marina. But as always, our focus is filled with local booze filled dreams. And Manitowoc doesn't disappoint when it comes to the local beer department. For people stopping here on a Netflix quest, the local microbrewery is right across the street from one of the major features of the documentary, the Manitowoc County Courthouse (double bonus). The Courthouse Pub is housed in a fantastic turn of the 20th century building. Before prohibition the building was a local beer hall. During and after prohibition the building was expanded and became a restaurant. Now the history of the building thrives as not only a restaurant, but also as the only microbrewery in the city. 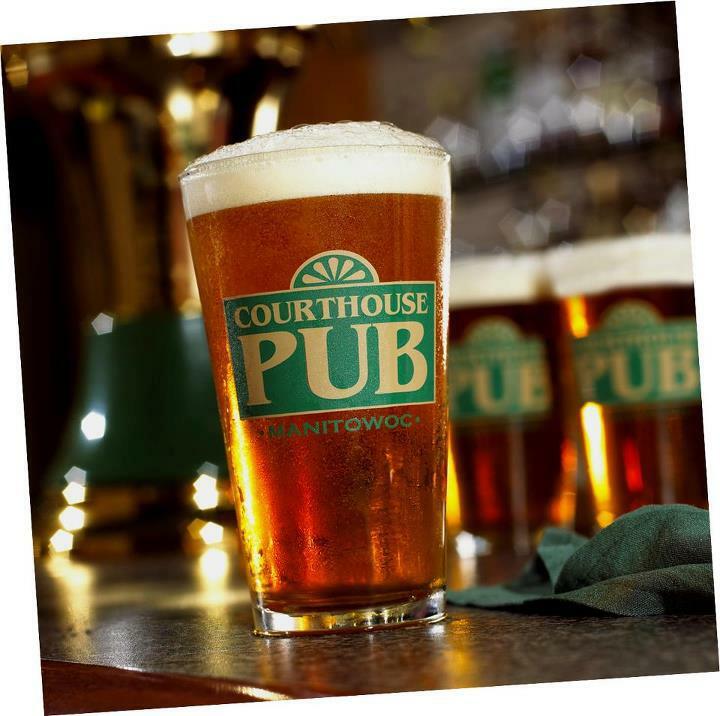 Conveniently located, the Courthouse Pub is impossible to miss (the courthouse dominates the area) and is steeped in history. "But what about the beer?" The Courthouse Pub has a rotation of around a dozen regulars and seasonal brews available at the brewery and for take out in a growler. Most of the time there are about 5 brews available on tap. Most of the brews have a fun name associated with justice (I will not comment on Manitowoc justice), and many of them are an innovative fun take on traditional beer styles. That's one of the reasons I love microbreweries, without the constraints of large production a microbreweries beer can be a little more "fun". The secret to success though at the Courthouse Pub is that the traditional beers produced there are top class. You can't be innovative if you don't nail the originals and my favorite beer there is the Munich Helles. Many breweries don't bother with a true original like this light marzen style beer, but those who do have a lot to live up to. The Courthouse Pub does a wonderful job keeping this beer free of "over-bitterness", while still giving it a nice malt bill. Another top beer for me at the Courthouse Pub is the Black Peppered Lager. For me it's a cross between a saison and a lager. It has all the body of German lager, medium boldness and easy to drink with a spicy finish that adds to that body. It's a very fun lager that doesn't go overboard in multiple flavors. The team at the brewery has done a nice job of using seasonal fruits and veg as well, wait veg? yes there is a butternut squash ale that I unfortunately have only heard about from folks who have had it. I have had the summer raspberry ale though and can confirm that it is one of the few raspberry flavored ales that doesn't either taste like sweat socks or wine cooler. It's subtle in fruit but there beyond the aroma. Ability to use fruit and veg is important, and the Courthouse Pub nails it. So there's a little taste of the Manitowoc I know. How does he know so much you may ask? Well, I've been traveling to Manitowoc my whole life. I was born there and it has been a place that I've gone back to with joy ever since I can remember. I haven't lived there since I was a baby, but I can confirm that I do say "yah" a lot and may even slip in a "dontchya know". If you told me 2 months ago that any of these things would have actually been pop-culture references (beaches in Manitowoc county, the county courthouse, Manitowoc) I would have called you nuts. 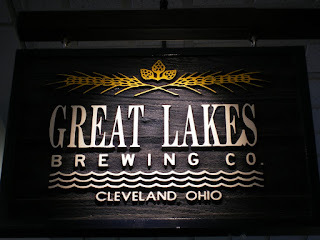 It really is a good town to make a stop in, especially on a Great Lakes tour, but more than anywhere, don't drink and drive after your solid local beer, I've heard the sheriffs department is tough to deal with. We recently had the chance to visit Budapest, Hungary during a European river cruise with Viking River Cruises. 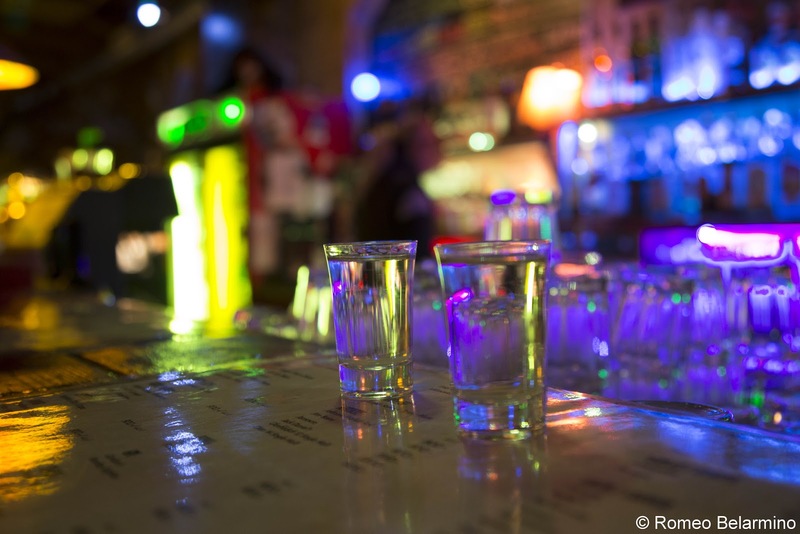 We would only be in Budapest for 24 hours, which isn’t much time, but we knew we had to squeeze in a couple visits to Budapest’s ruin bars (also known as ruin pubs, or romkocsma in Hungarian). 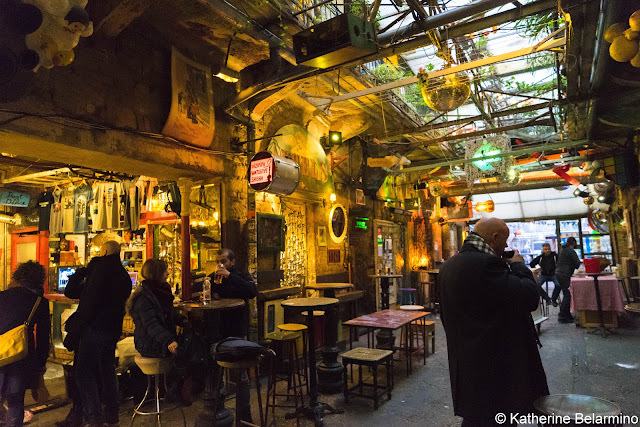 If you haven’t heard of the ruin bars of Budapest, you’re not alone, but if you’re interested in local bar and drinking culture, a visit to one or more ruin bars should be on your bar bucket list. 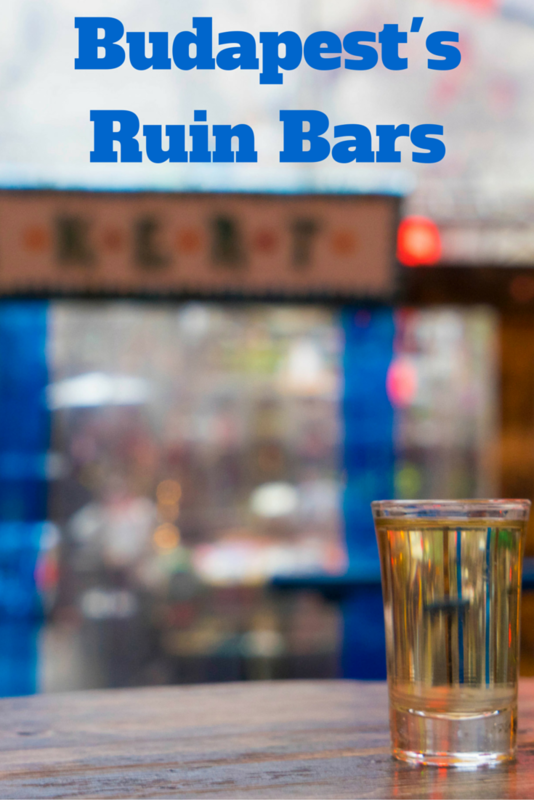 What is a Ruin Bar? A ruin bar is a bar built in an abandoned building or space. But there is more to the story. Budapest had a bustling Jewish community before World War II. During the German occupation, Jews were moved into ghettos and the Arrow Cross Party abused, attacked, and murdered many of the Jews of Budapest. There is now a memorial, Shoes of the Danube Bank, to the Jews who were lined up along the Danube River, ordered to remove their shoes, shot, and carried away by the river current. Other Jews died in death marches and labor camps. 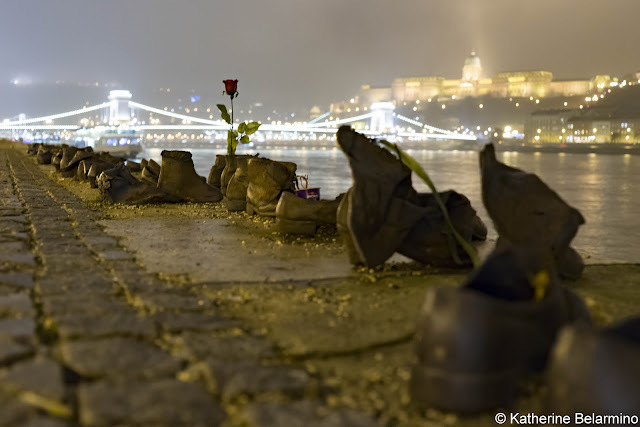 A large portion of Budapest’s Jewish community died during the Holocaust. A number of buildings in the Jewish Quarter remained abandoned for decades. After they were saved from being demolished, somebody had the idea to utilize these neglected spaces and make them something fun and trendy. 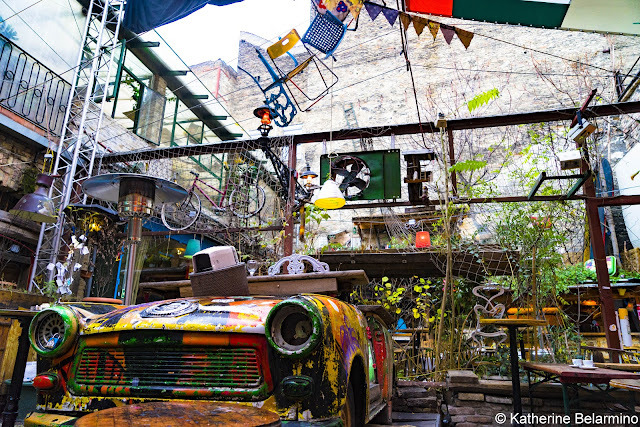 In came ruin bars, which helped revitalize Budapest’s seventh district. Ruin bars are found in what were once abandoned buildings or spaces, and some have outdoor areas with picnic tables and beer taps. 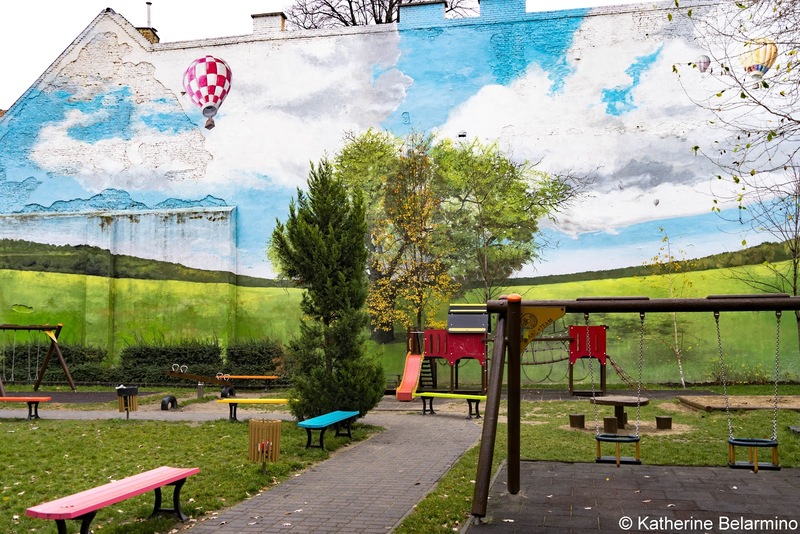 During a Budapest ruin pub crawl, travelers can enjoy the colorful, alternative, and slightly gritty neighborhood with its street art and murals. Szimpla Kertmozi is Budapest’s original ruin bar. An old abandoned factory was converted into an open-air pub and reception space when Szimpla opened in 2002. The opening of Szimpla started an alternative movement and 2003 to 2004 saw the boom of ruin pubs. Szimpla is the funkiest ruin bar we visited. It isn’t a one-room bar. 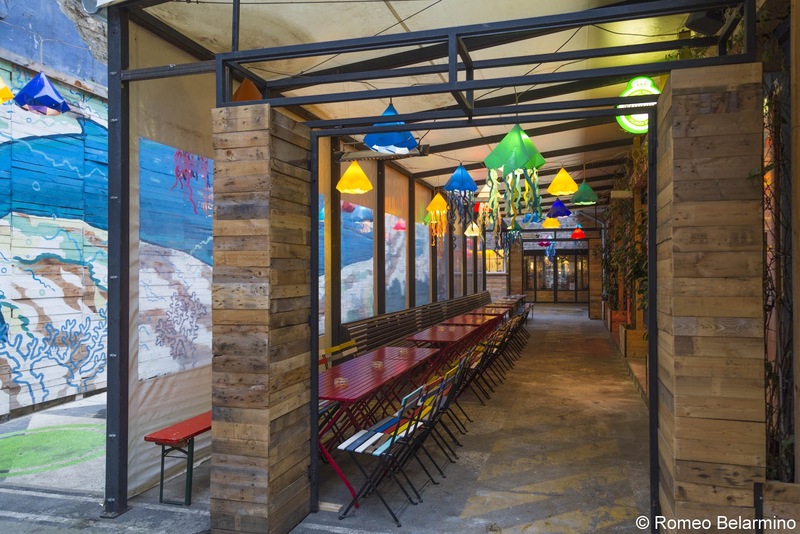 When you walk into Szimpla, natural light streams into the passageway. To the left and right are separate rooms and cozy alcoves selling wine, beer, and spirits and offering a place to socialize with friends. Near the back is an open space where concerts, shows, and events can be held. Beyond that is a garden area with an old communist-era Trabant car that is now used as a seating area. There are oddities hanging on the walls and from the ceilings, with something new to discover at every turn. Kuplung is another ruin bar in Budapest’s Jewish Quarter. This one used to be an old car repair garage, but now it has a nautical theme with a giant whale in the bar and a whale mural outside. The main bar is one large open space, but outside there are picnic tables with a view of the whale mural, all reached after passing through a long graffitied alleyway. While some ruin bars are hidden and not readily apparent, requiring a stroll down an easily ignored alley, you’ll stumble upon others just by wandering through the Jewish Quarter. 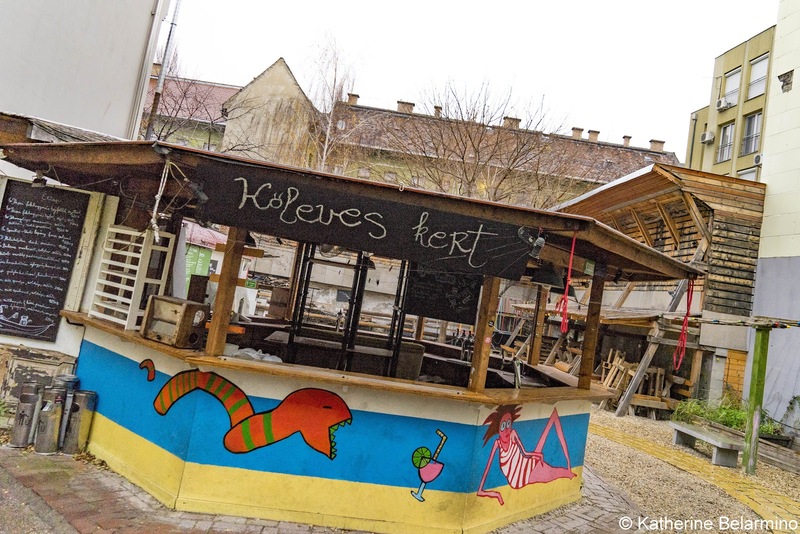 During our stroll through the seventh district we happened upon Kőleves kert, which means Stone Soup Garden, an open-air bar. This is a family-friendly ruin bar where both adults and children are welcome. Corvintető, located on the rooftop of an old department store, has a view of the city and is also an underground dance club. Grandio Bar is a ruin bar in a plant filled garden connected to the Grandio Party Hostel. Instant is huge, with 26 rooms, seven bars, two gardens, and seven stages. 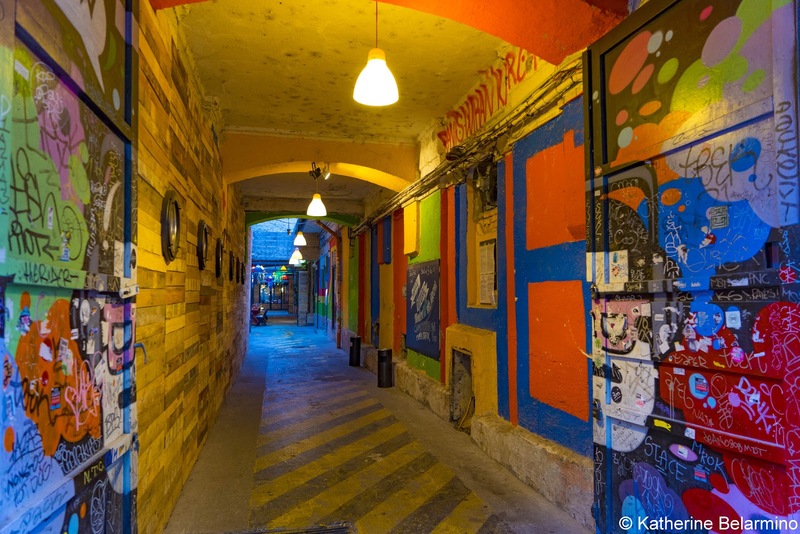 Other ruin bars in the Jewish Quarter of Budapest include Dürer Kert, Fogasház, Super8, and Rackskert. When in Hungary, especially at one of Budapest’s ruin bars, be sure to order pálinka. Pálinka is a traditional fruit brandy served in a shot glass. If you order pálinka made with grapes, it is customary to drink it straight. This kind of pálinka is called törköly and is one of the oldest types of pálinka. It tastes like Italian grappa and can be pretty harsh. If you order pálinka made with a fruit like apricot, plum, or cherry, you can order it with honey, which makes it a much smoother and more delicious drink. Other drinks of choice include local Hungarian beer or wine, or a fun cocktail. If traveling to Hungary’s capital city, be sure to visit the Jewish Quarter and one or more of its many ruin bars. Even if you’re only in the city for one day, set aside time to visit Budapest’s ruin bars as they are unique to this European city. Thank you to Viking River Cruises for hosting our trip to Budapest and making this post possible. As always, all opinions are my own. Forralt bor, Hungary's version of glühwein or mulled wine. We recently returned from a trip with Viking River Cruises. We cruised along the Danube and visited European Christmas markets at every port of call, including Budapest, Vienna, and a few German towns in Bavaria. European Christmas markets are full of great gifts, food, and drinks. Our favorite treat from the Christmas markets was glühwein. 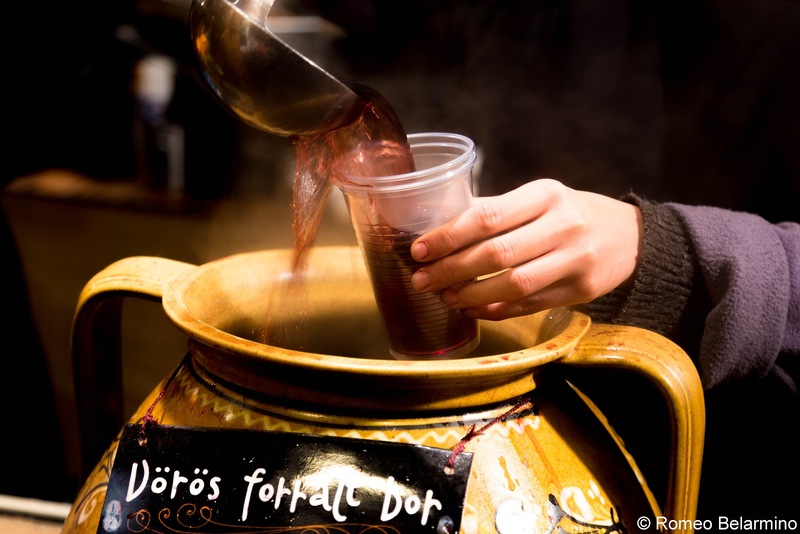 Glühwein, or mulled wine, is a warm beverage made with wine and spices, perfect for warding off the cold of winter. 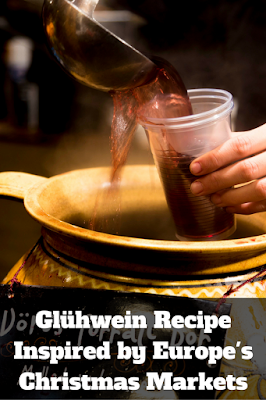 As our Christmas gift to you, we provide you with this traditional glühwein recipe. Put water and sugar in a pot and bring to just under a boil, stirring until sugar is dissolved. wine, lemon juice, orange pieces, cloves and cinnamon sticks. Let steep for 10 minutes to an hour, covered. Serve in a mug, preferably a souvenir mug from a European Christmas market. This can also be done in a crock pot. Serves 2 to 4 (depending on how much evaporates). With this simple glühwein recipe, you can be transported to the Christmas markets of Europe from the comfort of your own home. As the year winds down (holy hell I can't believe 2015 is done) and the winter ales flow through taps around the world, I feel like this is as good of a time as any to reflect on another great year and take a look ahead to 2016. Unlike many travelers - my esteemed partner being one example- my travel schedule gets very lite towards the end of the year. Most of that is due to a hectic end of the year schedule with kids and the money to play Santa as well. Never a big deal though, it has been a fun year of finding new drinks in new spots while following some new trends in the travel and alcohol industries. The first - and best - part of 2015 was that the Passports and Cocktails crew were able to find time for a few drinks together again. As we live half way across the country from each other -and have day jobs, kids or other obligations - a meet up isn't as easy as meeting at the bar. For me that is one of the toughest parts about our little site here. Not because we don't have the ability to communicate, but because Katherine and Rome are such fantastic people and above all I consider them friends. This years get together was in Denver - a place dear to my heart - and though it was short, the times that were had were fabulous (as were the drinks). I am crossing fingers that 2016 is a year of multiple good times in each others company. "Wipe the tears away Steve, come on man!" 2015 was another year of fabulous beer finds on the road, but also a year of uncertainty in the American beer industry. More kings of the craft beer world joined forces with some of the worlds largest brewing companies in 2015. That still didn't hold back small brewers from opening their doors this year, or hold back their fighting spirit. Many states, including Florida, fought outdated laws and corrupt politicians in a bid to make the playing field more fair. And in most cases, small breweries won. This year - even more than previous - the drink local crowd has visibly grown. What I mean is that both at home and on the road, the impact of local breweries is very apparent. So much so that many states are using breweries to their advantage within their tourism strategy. 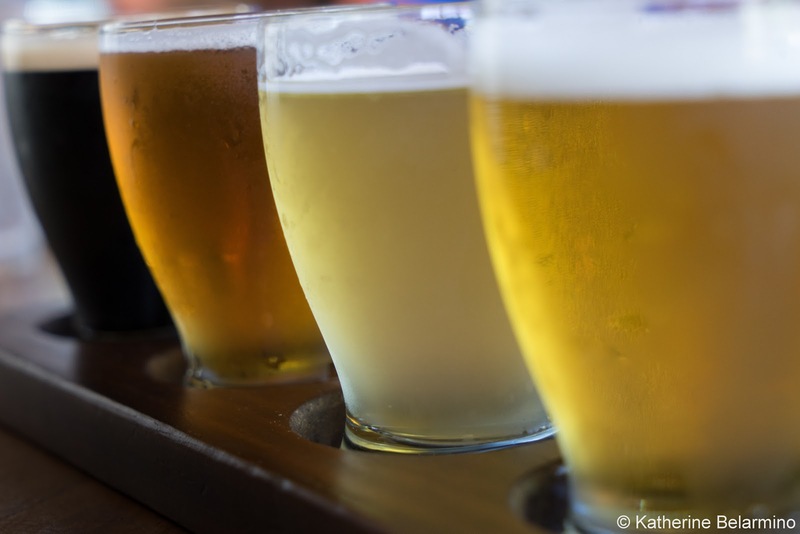 So no matter how many of the "big boys" of craft brewing sell out, the little guys have continued to gain momentum and the plateau of craft beer seems to be far off. "What was your favorite new beer this year?" My tastes didn't fully change this year - I still love a nice stout or porter - but I really enjoyed Lakefront Brewery's (Milwaukee, WI) Red IPA. The extra malt compared to other IPAs is a real treat. Plus, it's in Milwaukee (who doesn't love the Brew City). Plus the brewery tour is about as fun as it gets. "What was your favorite new wine this year?" 2015 was a (I have no idea) year for wine. Seriously 2016 has to be a wine year for me. 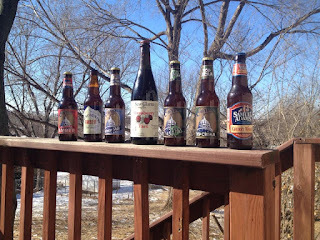 I should be embarrassed with how little wine I brought to everyone this year, but I didn't really drink any -except some good mead in Denver - so I'll continue to write about beer until someone throws me into a vat of grapes (which should be a contest on our site, "winner gets to toss Steve into grapes". Don't even ask about cocktails, I drank Brandy Old Fashioneds when I didn't have a beer in my hand, but I did find the best one I've ever had so YAY 2015. I should actually make my resolution for 2016 -now that I'm reading what I'm writing - "I will try new drinks this year, and I will be having them with Katherine, Rome and my wife". That was easy and more fun than losing weight (which I broke for next year already). "What is on tap for 2016?" 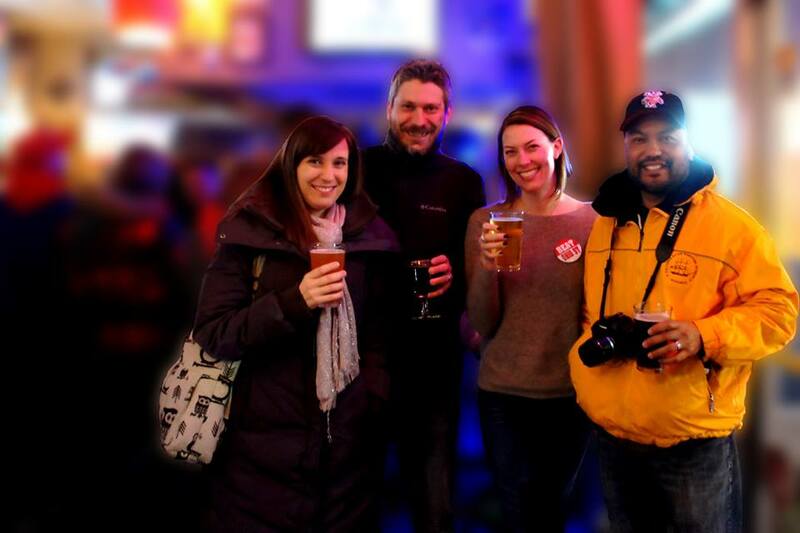 First, 2016 will be our 3rd year together as a fermented travel team, WHOA!!! What started as a fun idea has turned into a lot of drinks and a lot more new knowledge. As every year begins on my end, the outline is rough. More tropical drinks in Florida are on tap (RUM), new brews in the Colorado high country will be imbibed (I'm coming for you Tommyknocker Brewery) and so far at least one trip across the pond is planned (I'll be in France and there's my wine chance). Beyond that I assume places - Canada, Canada, Canada - will fall into place. Has your favorite spot not been toured yet? Let me know and we'll put it on the list. With that I'd like to wish everyone a happy holiday season, I'll be back on amateur day (New Years). Stay safe and drink local. The Winery at La Grange restored manor house. During our Virginia weekend getaway, we decided to do a little wine tasting. 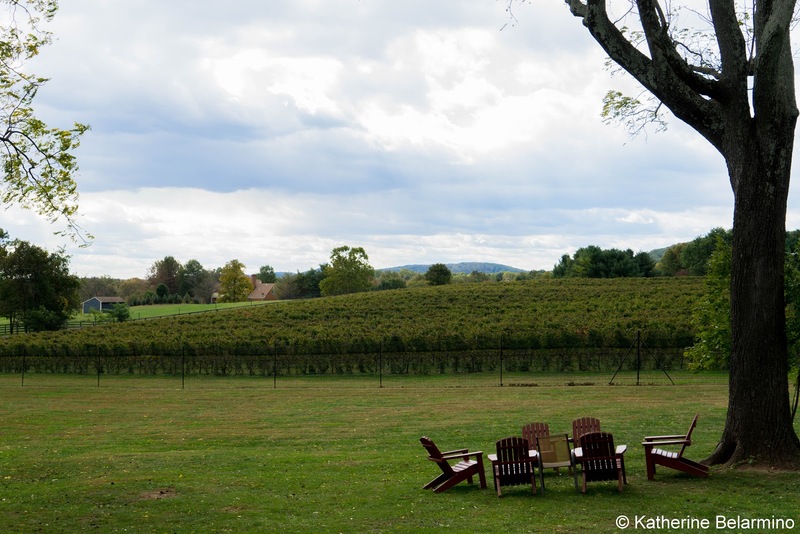 There are over 200 wineries in Virginia. 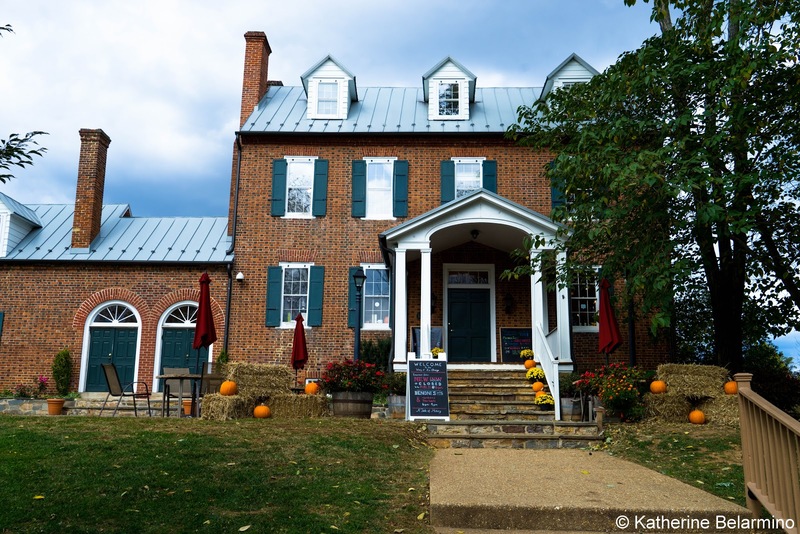 Virginia wineries make both wine we’ve heard of and drink in other parts of the country and also wine that perhaps isn’t so well-known. 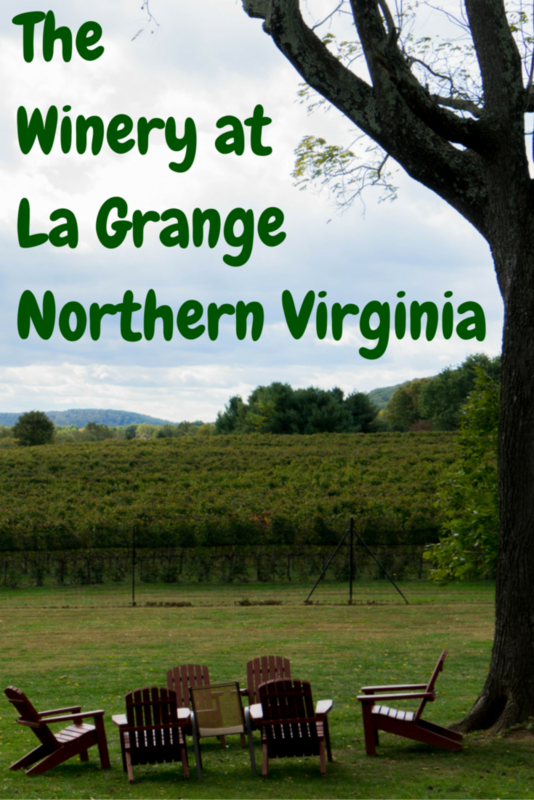 We visited the first winery in Prince William County, The Winery at La Grange (the nearby Winery at Bull Run is technically in Fairfax County), to taste what kind of wine they’re making in Virginia. 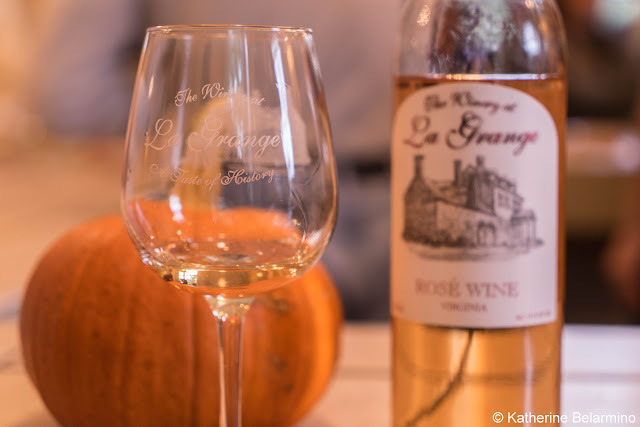 The Winery at La Grange used to be the historic La Grange farm. The manor on the property was built in the late 1700s. As many places in Virginia do, the house has a Civil War connection as it was used as a hospital during the Civil War. The owner, Benoni E. Harrison, passed away in 1869 and the manor fell into disrepair. 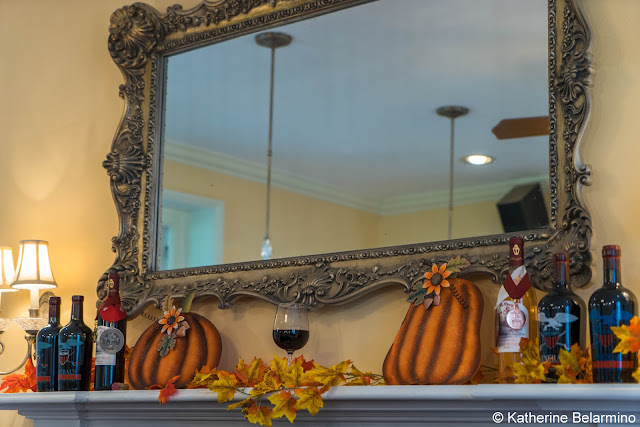 Investors purchased the property as a fixer-upper and decided it would be the perfect location for a winery. The restored house and cellar are original. The vineyards of the Winery at La Grange. The Winery at La Grange opened Labor Day 2006. The Cabernet Sauvignon vines on the property were planted in 2007, mostly for aesthetic. In 2010, they decided to use the fruit from the on-property vines and the first harvest was in 2012. La Grange’s wine is made by Fletcher Henderson who was one of the original investors in the property and winery. After a short departure, he returned to be the onsite winemaker in 2012. Rather than creating fruit-forward California-style wines, The Winery at La Grange seeks to create European-style wines that are more terroir-driven. The gentleman pouring our tastings described Virginia wines as seeking subtle, secondary flavors rather than slapping drinkers in the face with rich fruit flavors. 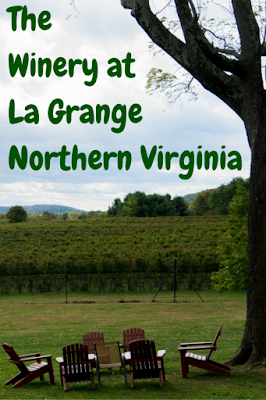 La Grange’s wines are mostly made with grapes from Virginia, but also with some from Washington State and California. 2013 Fletcher’s Chardonnay – The Chardonnay is made in the French Burgundy style. It is not malolactic, but is rather crisp. It is fermented and aged in French oak for 11 months. The wine was named after the winemaker because it was different for a Chardonnay and the owners didn’t think it was going to work. It does work and was one of my favorites. 2014 Rosé – The Rosé is very unique. It is a blend of Cabernet Sauvignon from the property’s Benoni Vineyard and Vidal Blanc. Unlike most Rosés which are light pink, this Rosé has more of a light copper tint. It has a sour, tart quality, and is dry, crisp, and acidic. 2014 Pinot Gris – The Pinot Gris is made with Washington grapes. It has a fruity aroma, is slightly sweet, and is a great wine for enjoying in hot weather. 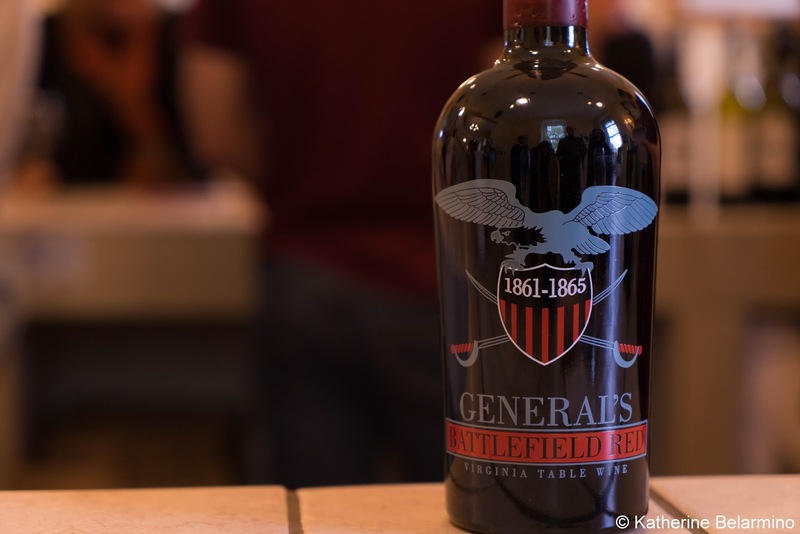 N/V General’s Battlefield – This signature wine was first created in 2011 for the 150th anniversary of the start of the Civil War and the Battle of First Manassas. The unusual bottle shape is in the style of gin bottles of the Civil War. Fallen oak trees from the Manassas battlefield that were alive during the Civil War were used to make the barrels in which the wine was aged. The first edition of this wine was bottled in bottles with a blue eagle. A white eagle graced the bottle the second year, and a gray eagle has been used in subsequent years. The gray eagle wines were not aged in Civil War oak barrels. I was excited to try this special wine, but unfortunately it ended up being my least favorite. 2013 Meritage – The Meritage is an American Bordeaux style blend made with Malbec, Cabernet Sauvignon, Cabernet Franc, and Merlot. The Meritage has a very earthy taste. Meritage is a combination of the words merit and heritage and is a universal term for Bordeaux-style wines made in the United States. 2012 Tannat – Tannat is a French grape that grows near the Spanish border. It is an unusual grape because the juice comes out red. Usually grape juice turns red from the skins. The 2012 Tannat is aged for 16 months in American and Hungarian oak barrels. 2014 Norton – The Norton is a Virginia grape, but oddly enough it is not the state grape. (The state grape is Viognier.) While the taste of most wines include terms like cherry, raspberry, tobacco, etc., this wine has a very prominent grape flavor. The Norton was another of my favorites because it was quite different from other wines I’ve tasted. 2014 Benoni’s Red Blend – Benoni’s Red Blend is a blend of Chambourcin, Merlot, Cabernet Sauvignon, and Tempranillo. It is off-dry and slightly sweet. It is a very drinkable American table wine that pairs well with food. On top of the winery making good wine and having centuries of history including a Civil War connection, the winery also has a ghost. The ghost of Benoni is thought to haunt the manor, so every day a glass of red wine is left on the mantle in the tasting room for the ghost. It is said the wine level goes down as the day goes by. Ghostly thirst or scientific evaporation? You decide. In addition to visiting the tasting room, visitors can enjoy the outdoors at picnic tables and Adirondack chairs or head downstairs to the old stone-walled cellar. Visitors are allowed to bring in outside food if they want to have a picnic outside or dine at one of the tables in the cellar or upstairs. We grabbed lunch boxes from nearby Annie’s Kitchen Table. Thank you to Discover Prince William & Manassas for hosting our trip to Virginia and making this post possible. As always, all opinions are my own. “It’s the holiday season, and whoop-de-do and hickory dock”… sorry I get carried away since holiday music starts playing in October now. It’s the holiday season, which means millions, upon millions of folks will be hitting the friendly skies with presents and holiday cheer all over the world. Here in the US well over 50 million people will be flying to see family, friends or Christmas markets from the period between Thanksgiving and New Years Day. As is tradition here, much of that time spent in our airports will focus on the negative (long lines, the TSA in general, oversized bags getting pulled from carry-on, etc…). Put that together with the “stress” of the holidays and you’ve got a recipe for disaster. Amidst all of that stress, chaos and general disdain that my fellow countrymen have for airports (I love spending time in an airport personally), there has been a real shift in the drink offerings in many of the busier transit hubs in America. Yes, airports have always had bars where you could get a few whiskey and cokes before you boarded. But now – as local breweries continue to expand their foot print – breweries have made their way into airports. Craft beer itself had made its way into terminal bars many years ago. The difference now is having an actual brewery (or branch of that brewery) next to your gate! So walk away from your delayed flight and let’s drink at the best airports for local beer options in the US. The Twin Cities are home to one of the pioneers in craft brewing in America, Summit Brewing Company. This holiday season – or whenever you visit “The Cities” – you’ll be happy to know that even though your Delta flight – it’s a hub – may be late, you can have a Summit Pale Ale (or 5 other Summit taps) in Terminal 1 at Ike’s on Summit. "Moon over Parma bring my love to me tonight". Who doesn’t think Cleveland rocks? Cleveland Aiport isn’t as bustling as it was back in its Continental hub days, but that doesn’t mean it doesn’t matter anymore. 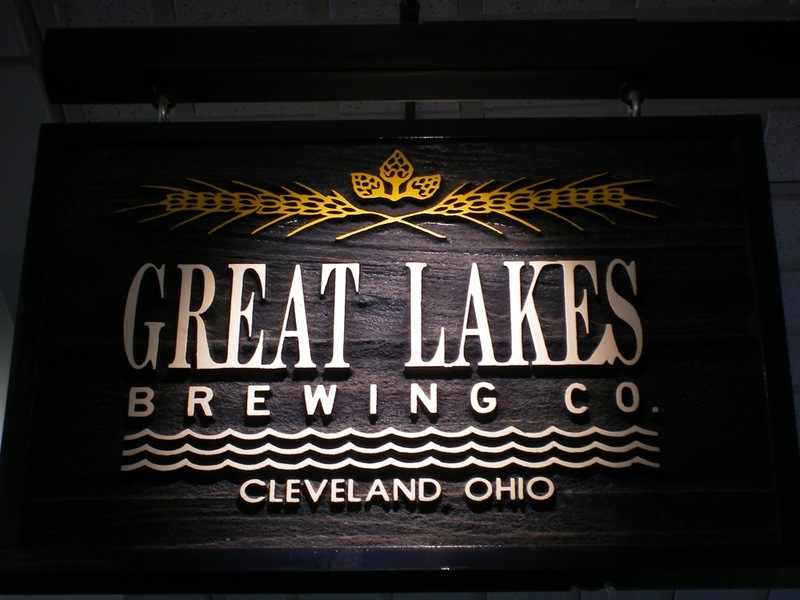 Whether you’re going to see your grandma for the holidays or LeBron, you’ll be glad you have some time to hit Terminal C for a stop at Great Lakes Brewing Company. There aren’t many porters as good as the Edmund Fitzgerald, especially while flight watching inside the airport. 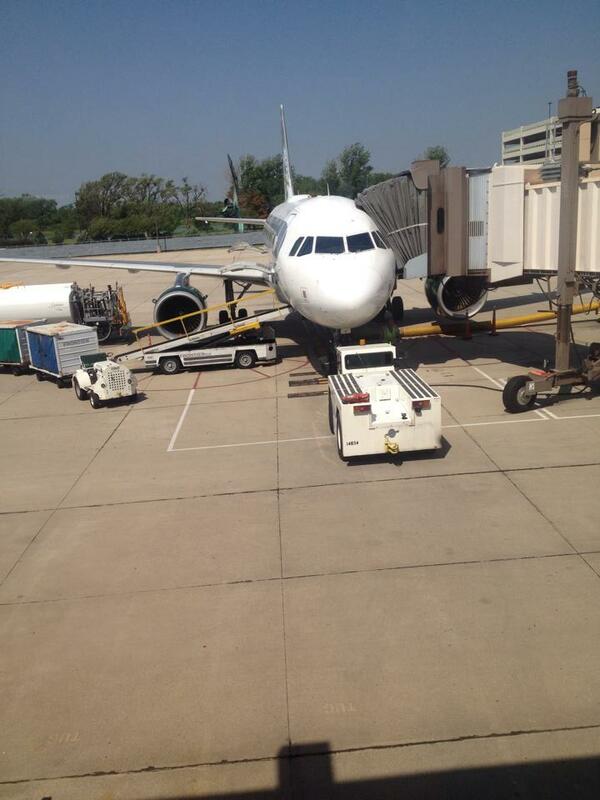 I love flying to Tampa. It usually means I’m sneaking out of winter for a little while and hitting the beach. Tampa has become a hot bed for craft brewing, and Cigar City Brewing has planted their flag as king of the hill. As sad as it is to be back in Concourse C at Tampa (waiting for your flight back to some frozen reality) grabbing a pint at Cigar City’s location is a great send off. It may even encourage you to just move to a place without winter. Craft beer, sun and sand were probably on your San Diego list of things to do. Even though you’ll be leaving the sun and sand behind once you check in to the airport, San Diego International will keep your craft beer dreams alive. It won’t be just any beer either. 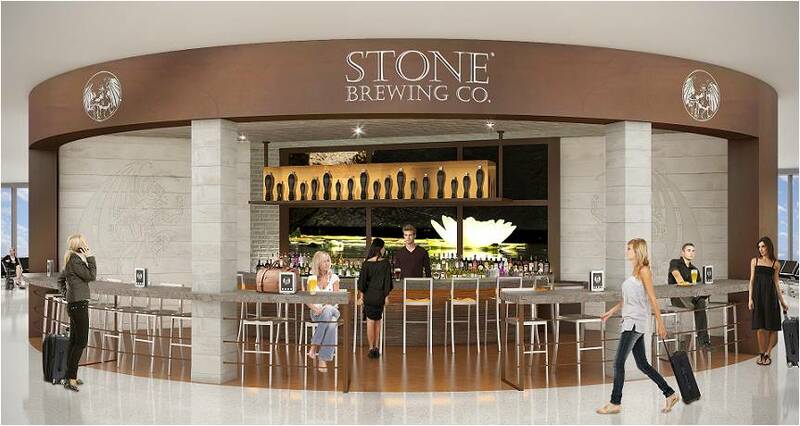 Terminal 2 offers a Stone Brewing Company bistro and beer garden. There really is no reason folks should not be going to San Diego, as my good friend calls it the “Greatest City in America”. The nice thing is before you leave you can have one last taste of what helps make San Diego so great. There aren’t many places that do “weird” better than Portland. There also aren’t many places that do beer better than this area. So as is the case in many airports, “weird” is actually having a great brewing company operate a location inside a terminal. Well Portland is weird again because Rogue Ales – one of the best in the business – has a location in PDX. Concourse D is your destination when flying out of Portland to find one of the best stouts out on the market, so local, so weird. 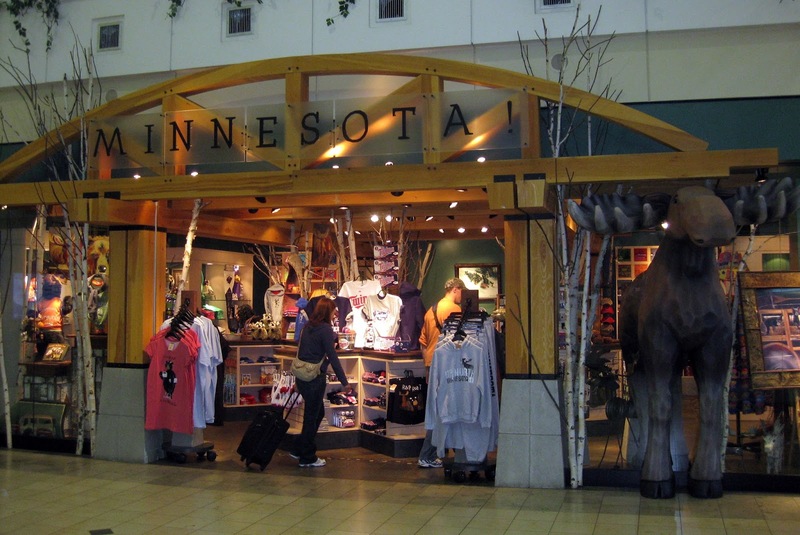 You may never get the chance to fly through this regional airport, but you should consider it. I’ve put my love for Madison in words many times. 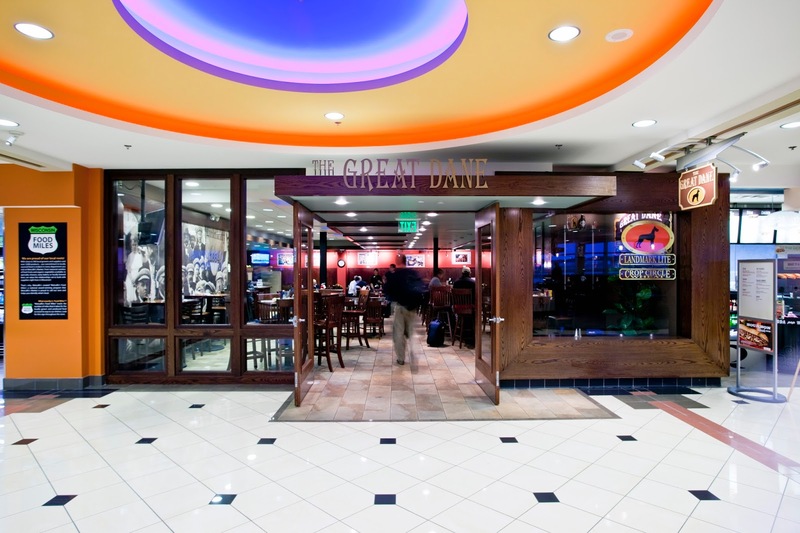 The one thing the city has had going for it for a long time has been beer, and through my travels the Great Dane Brewing Company was the first brewpub I ever noticed in an airport. MSN is a 1 terminal airport which makes the fact that a brew pub as one of the few choices to eat at even more astonishing. Say goodbye to Madison the responsible way, with a toast to a local brewing institution before departing. Boston has been synonymous with bringing craft beer to the mainstream over the past few decades because of the Boston Beer Company. But this heavily traveled East Coast hub goes even more local than the Sam Adams giant and offers you a tap room for the Harpoon Brewing Company from Boston. There aren’t many places in America that hold as much history as Boston, and after a well spent vacation discovering that history you’ll be happy to enjoy a great Harpoon brew in Concourse A looking though all your photo memories. Oh what could have been for Kansas City. The airport was supposed to be the grand launching point to the world from the Midwest for TWA, but design flaws meant TWA would move. 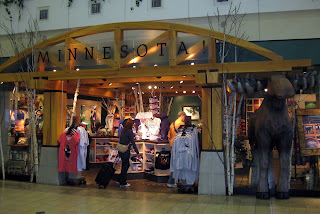 Then MCI was a hub for Midwest Express (oh those cookies) but then they ceased to be an airline. 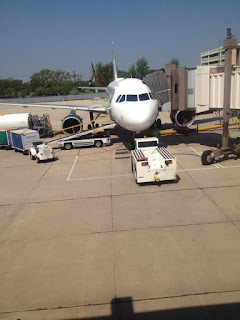 Despite that Kansas City international is still a great – and busy – airport servicing people from all over the Heartland. What makes this airport great? Boulevard Brewing Company, that’s what! Make the walk to Gate 56 and enjoy the beer that has redefined KC over the past few decades, at their brewpub. St. Louis is the gateway to the west, or it at least has the cool arch to mark that point. 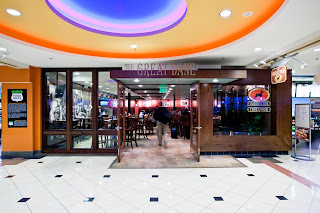 The city has many great things to do that involve beer including the Budweiser brewery, but Lambert International Airport boasts a brewpub from local craft brewer Schalfly that will make your flight or connection in St. Louis a little tastier. 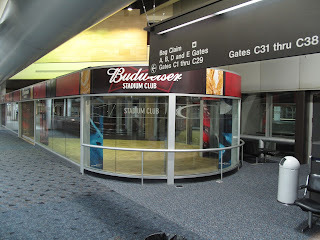 Make yourself to Concourse E in Terminal 2 and enjoy a great beer in a town that has made beer for a long time. Beer heaven. That’s what Denver is, beer heaven. Because it’s heaven to me, I’m always sad when I’m waiting for a plane here. 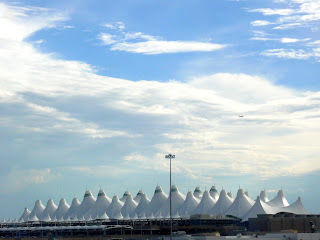 But even though I’m sad, I actually love this airport. The Rocky Mountain views are spectacular and – if you’re in the Jeppesen Terminal – you can hit a tap room from the wonderful Boulder Beer Company. As a hub for United, Southwest and Frontier Airlines, chances are you’ll be in this airport someday which means a Shake Chocolate Porter is destined to be in your future. Skip the chain restaurants and find this tap room and enjoy your beer the way the locals do, in the tap room. As I said, I love airports and could spend a day wandering around them watching the departure board flip through flights. Hopefully more local brewing companies will be able to find space to give a flavor of their area to all who travel through. I know that would make my airport wandering even more fun than it already is.